Police are investigating sectarian abuse directed at Aberdeen manager Derek McInnes during Sunday’s Scottish Cup semi-final against Celtic. McInnes was sent to the stand at Hampden for gesturing to supporters as his team headed towards a 3-0 defeat. The Dons boss said post-match this was in response to being targeted by fans. 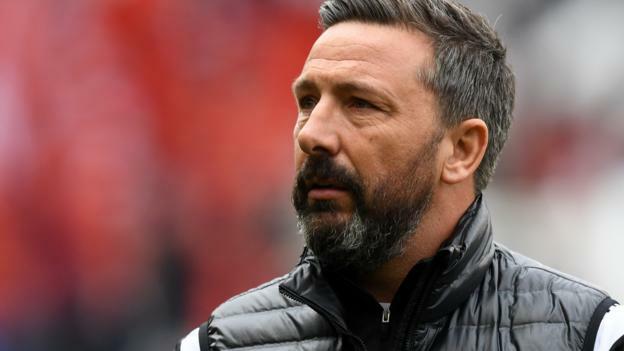 Speaking in the aftermath of the game, McInnes told BBC Scotland he shouldn’t have reacted and would “take his punishment” for being sent to the stand. “I’ve heard that song a hundred times aimed at me so I think frustration from the game has played a part. It’ll be interesting to see if everybody gets punished,” he added.